The Irondequoit Art Club (IAC) was founded in 1958 by a small group of artistic visionaries whose purpose was to bring artists together to work at the medium of their choice. The group remains active to this day and is open to all--from beginners to experienced artists--anyone with an interest in any form of media. Meetings are held on the 4th Tuesday of each month from 7 to 9 P.M. (September to May) at Chapel Oaks which is located on St. Ann’s Campus at 1550 Portland Avenue, Rochester, NY 14621 (across from Rochester General Hospital). Following a short business meeting is a demonstration by a professional artist. These presentations are open to the public and cover a wide range of art forms - painting, sculpture, printmaking, etc. They are fun as well as educational. 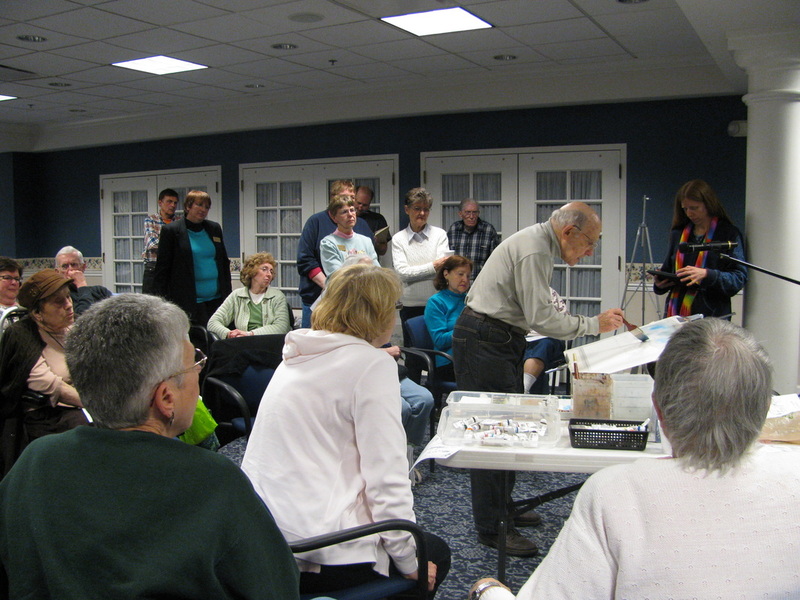 On most Wednesday afternoons (usually 12:00 - 3:00 p.m.), the Art Club holds workshops at the Pinegrove Senior Center, 154 Pinegrove Ave, Rochester, NY 14617, to share lunch, art and ideas. 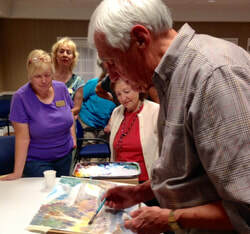 Wednesday activities include monthly critiques on pieces created by the members. Drawing and outings are scheduled whenever possible. · A Spring Show & Sale at which awards are presented to members’ works deemed noteworthy by judges who are professional artists. Awards are also given to promising high school art students selected from each of the Irondequoit High Schools. · A Fall Arts/Crafts Show & Sale where fine art is exhibited, as well as an array of craft items made by members. 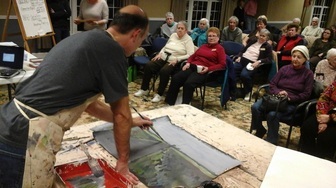 Other activities, designed to encourage members to expand and grow, include workshops, sketch-outs, picnic, and various community exhibits, such as the Art Walk at Irondequoit Town Hall. Experience the uniqueness for yourself by attending the club’s programs. Whatever your art form, you are certain to enjoy meeting members and learning more about what this fine organization has to offer.